Workshop: "Enhance your emotional intelligence to better handle people"
Emotional Intelligence, a term created by two researchers Peter Salavoy and John Mayer and popularized by Daniel Goleman, is defined as the ability to identify and manage your own emotions and the emotions of others. Studies have shown that individuals with high EI are better able to work in teams, adjust to change and be flexible. As the workplace continues to evolve to make room for new technologies and innovations, EI may become increasingly important for one to succeed. To achieve any goals, we require the help of people around us and this involves knowing how to work with others and manage them. However, what most people forget is that we first need to know how to work with ourselves and be more self-aware before we can better engage others. 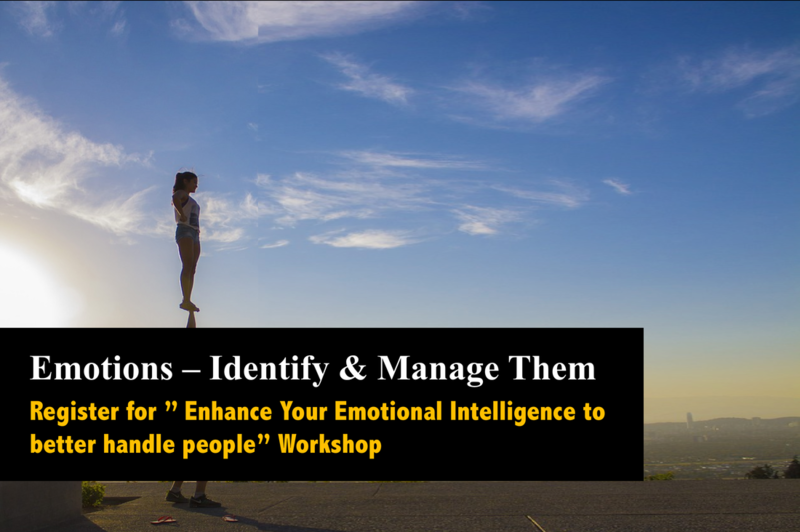 This 2 hour interactive session will help you gain tips to enhance your emotional intelligence to be more aware of yourself and others in order to handle other people more effectively. It is recommended for participants to attend the “Enhancing our Communication by Understanding who we are” session after this session.